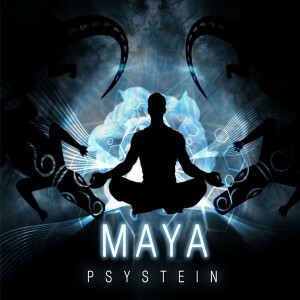 Psystein (Velimir Andreev) is happy to present Maya, a collection of darkpsy and forest music diving deep into the world of the real and the unreal. Inspired by magical journeys into the Bulgarian forests, this release explores vibrations from the hidden reality. Don’t be scared of the unknown; explore the deepest of psychedelic realms with this five track mini-album! Mastered by Psystein with artwork by Raya Tsolova. MP3 Download | FLAC Download | WAV Download · Download count: 9,821. Spot on the mood for 2014. Looking to see it Live. Very good stuff. I like the low bass. Great atmospherics, cool sounds. Never heard this artist before but I’m looking forward to hearing more from him. a very vast, spacious, open feeling here. So good!) Just the way I love it! seamless Genius ,mega great Art ! This album is one of the deepest and spontaneous experiments with sound manipulation (when it goes to nighttime or “dark”psy music) I’ve been a witness while it has been created. Glad to be a half-life music partner with you, Velimir. If it goes to originality – 5 stars from me. I just wont to share with you my last live act :) This is the first full published live act of mine.